Reservoir Dogs is 25 years old this year, and Lionsgate, which now owns the rights to Quentin Tarantino’s feature-film debut, is celebrating with a new video game based on the movie. 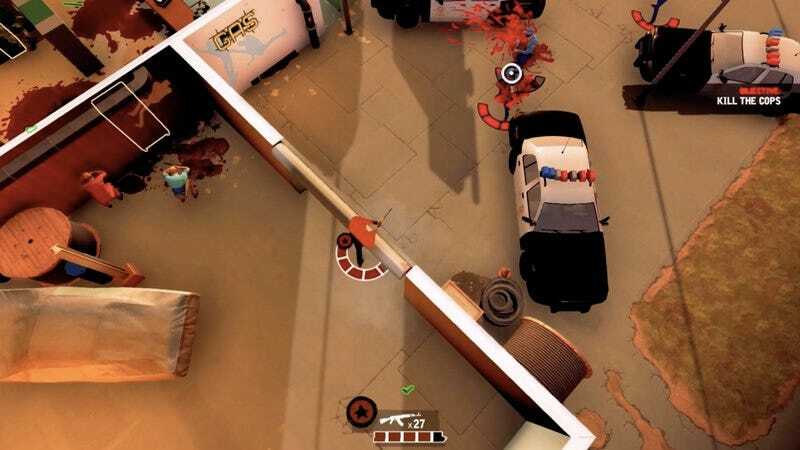 Called Reservoir Dogs: Bloody Days, the top-down shooter will be a prequel of sorts, following Tarantino’s crew of colorful crooks on the heists that led up to the fateful diamond robbery at the center of the film’s events. It’s being co-published by Lionsgate, which made its gaming ambitions known back in 2014, and Big Star Games, a Spanish startup that focuses on developing and publishing adaptations of TV and film properties. The game was showcased in private demos at last week’s Game Developers Conference, and by all reports, there’s more to Bloody Days than there appears to be at first glance. Players take a team of three characters into every mission and control one at any given time. But when you switch from, say, Mr. Blonde to Mr. Pink, time rewinds a bit, giving you a chance to correct a mistake or add another layer to your strategy now that you’ve seen what lies ahead. It sounds like a clever twist, and it’s also a neat way of tying in the film’s non-linear and multi-perspective approach to storytelling. We’ll see how well it comes together when Reservoir Dogs: Bloody Days is released for PCs this spring and later this year on Xbox One.